WATKINS GLEN, N.Y. – More than $2 million in Mazda driver development scholarships will be earned this weekend at the season finale for this year’s Mazda Road to Indy season. Four races for the three Mazda-powered categories take place this Saturday and Sunday at the Watkins Glen Int’l road course. Championship-winning drivers in the USF2000, Pro Mazda and Indy Lights series will each earn a Mazda scholarship, allowing them to climb up a rung on the open-wheel racing ladder in 2018. Sometimes winning the scholarship can be the difference between continuing or ending a driving career, so the passion and tension are palpable among all of the contenders as they aim to follow in the footsteps of those who have used the MRTI to further their career. Kyle Kaiser needs to only start the Indy Lights race to secure the Indy Lights presented by Cooper Tires championship in his third season in the series. 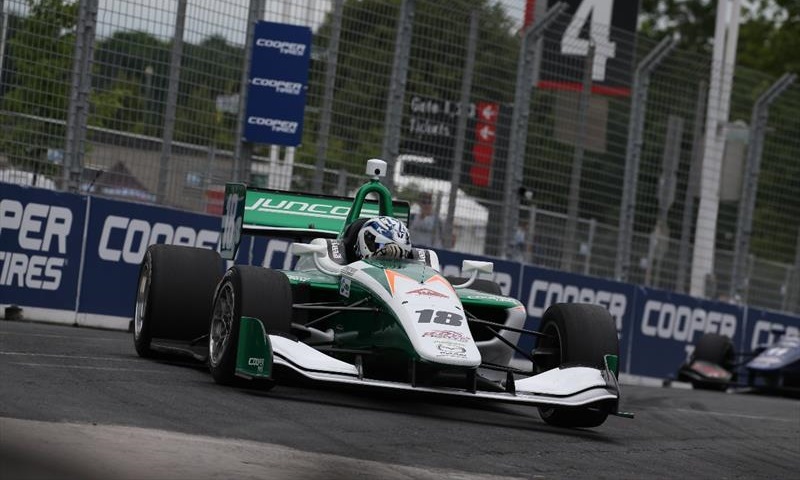 Driving for Juncos Racing, Kaiser has three victories and has extended his points lead with a string of consistent finishes. He will earn a scholarship with a $1 million value, guaranteeing him at least three starts in next year’s Verizon IndyCar Series, including the 102nd Indianapolis 500. The Juncos team last won the Lights title in 2015 with driver Spencer Pigot. The closest-fought series all season has been Pro Mazda, as 21-year-old Victor Franzoni has been locked in a titanic battle with 22-year-old Anthony Martin, who was last year’s USF2000 series champion. Franzoni won the most recent race at Gateway Motorsports Park to take a two-point lead into the two races on the calendar at Watkins Glen. Both drivers have five wins this year, and the duo has finished first and second in nine of the first 10 races. The duo is aiming for a Mazda scholarship of more than $790,000, going toward a season in the Indy Lights class in a Soul Red race car.